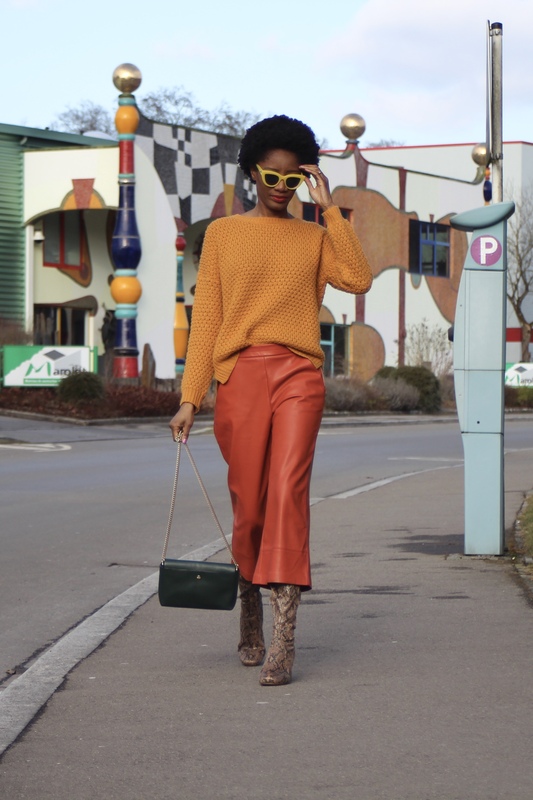 One of the spring summer fashion trends for 2017 is super bright colours as seen on the runway in Paris fashion week with designers such as Balenciaga and Valentino. I like sourcing for inspiration and that was a great start for me. So, I decided to create a super bright look ie colour – blocking. 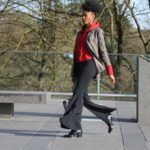 Culottes and palazzos are my two favourite styles when it comes to pants. These ones are made out of faux leather, from Zara last season and what caught my eyes was the colour. It’s a bit bright and not everyone would wear an orange trouser. But, I like re-inventing my personal style and I am a lover of colours. 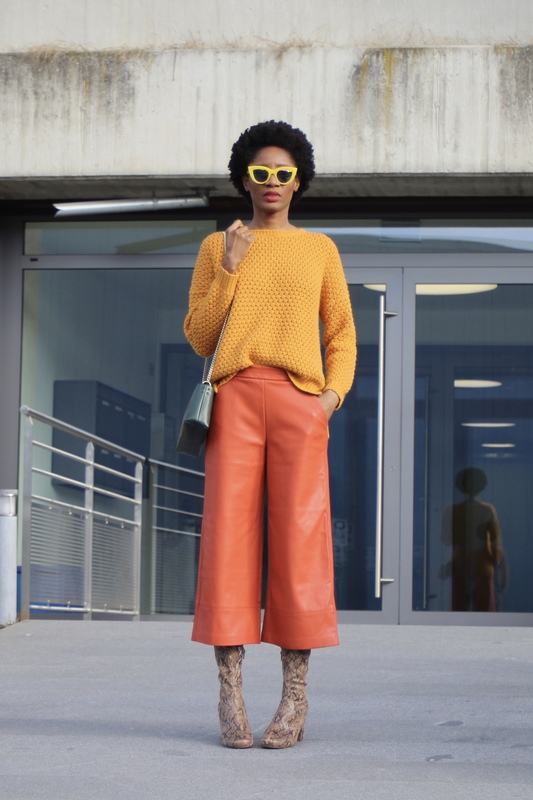 I went for a bold look here, pairing the culottes with a clashing yellow cable knit sweater. Finding the right footwear was a bit tricky because of the colours but I found the perfect one at the end, these calf-high snake print boots. 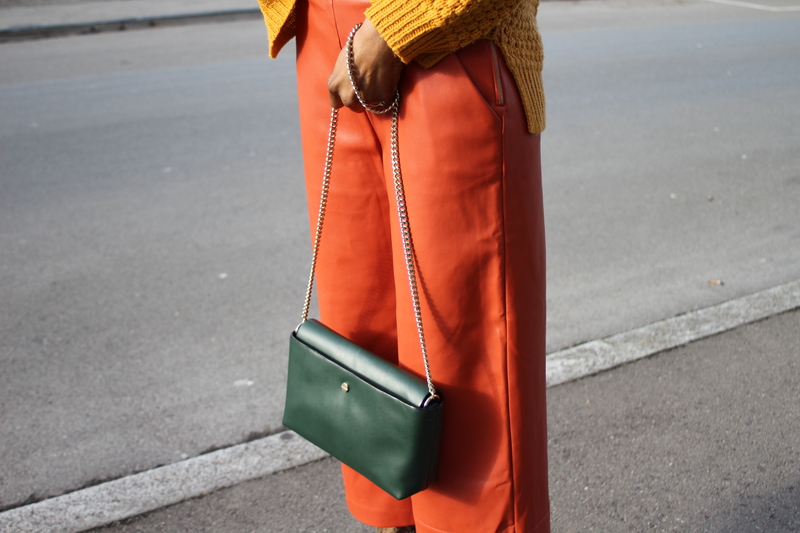 To finish off my look, I added a pair of yellow sunglasses and olive green chain body bag. How cool are these sunnies? I think they are pretty chic and stylish. It’s made by an Australian brand called Quay. I had these a year ago, so they might not have them in stock but it’s worth checking out their website if you are into cool eye wear at affordable prices. 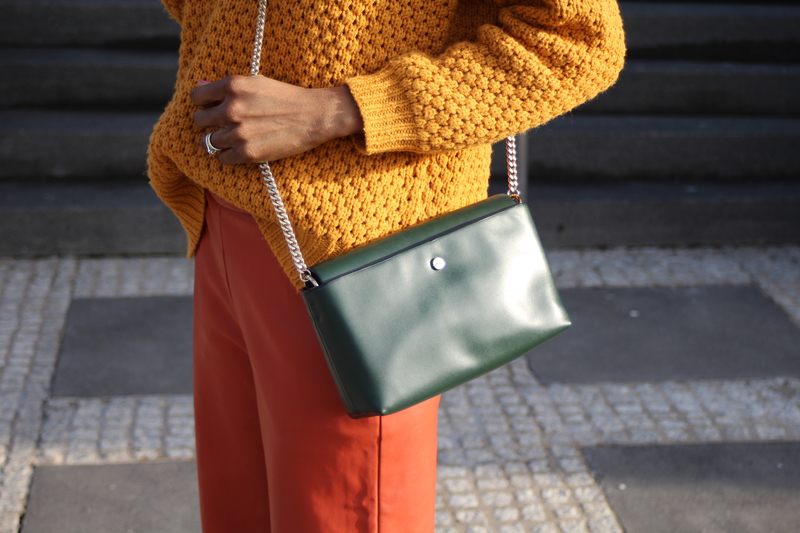 Opt for bold accessories if you are not completely sold out on the idea of colour blocking. It’s all about personal taste and what you feel comfortable and good in. For more inspiration view Spring/Summer 2017 Colour Trends by British Vogue. Be bold and try out some super bright colours.